NEW YORK (March 17, 2011) — When David Ben-Gurion envisioned making the desert bloom, bulldozing Bedouin villages to make way for new groves of trees is not exactly what he had in mind. 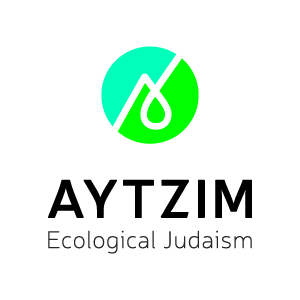 But, in the name of environmentalism, that is exactly what Keren Kayemet L’Yisrael / Jewish National Fund did recently, bulldozing the village of al-Araqib for the 21st time since last July as part of its $600-million Blueprint Negev project. It gets worse: In order to plant the new grove of trees, KKL-JNF also bulldozed about 850 olive trees owned by the villagers of al-Araqib. And the bulldozing has not been bloodless: Village residents and protesters have been greeted by police with rubber and paint bullets that sent some of them to the hospital. When most people buy trees through KKL-JNF, they don't think they're financing the bulldozing of a village and the injuring of protesting civilians — neither of which are roles with which KKL-JNF was charged when it was founded at the fifth World Zionist Congress in 1901. Theodor Herzl, like Ben-Gurion, would be ashamed. KKL-JNF was first proposed in the early 1880s by the Hovevei Zion (Lovers of Zion) movement and by Prof. Hermann Schapira as an organization for acquiring land for a Jewish national state, encouraging every farmer to work his/her own land, supporting collective farming and building large communities. In his 1896 book Der Judenstaat (The Jewish State) and his 1902 book AltNeuLand, Herzl proposed a Jewish people-funded “National Association for Trees” that would be tasked with afforestation. The leading Zionist thinkers behind the founding of KKL-JNF endorsed Jewish settlement and afforestation of the land; none of them endorsed the destruction of existing villages. Herzl, in fact, called for the creation of a model state, a state where all of its citizens would be treated fairly. As beneficial as planting trees is, and as much as afforestation is needed and valued, new saplings should not come at the cost of displacing people from their homes, regardless of their religion, ethnicity or land-owning status. Because today is the fast of Esther, and Sunday is Purim, it's all the more important for us to remember the dangers of being a minority. Our collective history should spur empathy for minority groups such as the Bedouin. Since Blueprint Negev was announced in 2005 by KKL-JNF's sister organization JNF-USA, the Green Zionist Alliance has challenged the project's virtues. The GZA also has channeled its carbon-offset efforts through the Good Energy Initiative, where one of the organization's carbon-mitigating efforts is replacing diesel power generators with solar power in off-the-grid Bedouin villages such as al-Araqib. The Green Zionist Alliance representatives on the KKL-JNF board of directors — Dr. Alon Tal and Dr. Orr Karassin — have been working to stop KKL-JNF and JNF-USA from bulldozing al-Araqib and other Bedouin villages again. Tal has been meeting with Bedouin representatives and he and Karassin are urging the rest of the KKL-JNF board to put a stop to the evacuation and displacement of Bedouin in the Negev. Part of the problem stems from questions of land ownership. More than 100,000 Bedouin live in villages like al-Araqib, unrecognized by the Israeli government. Although many of the villages predate the founding of the modern state, Israel declared state ownership over unrecognized villages after the War of Independence, leading, most significantly, to limited animal-grazing rights and to villages' exclusion from access to the energy grid, water and sewer lines, and paved roads. Still, the bulldozing of Bedouin villages en masse only began in earnest with the implementation of Blueprint Negev. The state has given KKL-JNF the land to many unrecognized villages, including al-Araqib, to develop and forest because, under Israeli law, the land is owned by the state. But that arrangement may be coming to an end soon. The Israeli government is in negotiations with the Bedouin over disputed lands, with the latest Israeli offer likely to be a state handover of half of the Bedouin-claimed lands and billions of shekels in state compensation for the other half. In the meantime, the Green Zionist Alliance position is clear: KKL-JNF should not be involved in the displacement or evacuation of people, regardless of whether or not they can be considered legally as trespassers. And KKL-JNF should not plant trees on lands whose ownership is being disputed through the country's judicial system. Fortunately, the Green Zionist Alliance is not alone in this fight. Rabbis for Human Rights North America and the Jewish Alliance for Change have teamed up for the Bedouin-Jewish Justice in Israel Campaign to raise public awareness about the issue and gather signatures on petitions to KKL-JNF and Israeli Prime Minister Benjamin Netanyahu. And Bustan and the Negev Coexistence Forum have long sought environmental justice for the Bedouin. Planting forests shouldn't mean destroying villages, and it's time that KKL-JNF ends that equation for the Israeli Bedouin. It's time for a greener, more just KKL-JNF for all Israelis.